The Software-Defined Data Center (SDDC) is at an early stage in its development, but software and hardware vendors are already lining up to sell you SDDC products. EMC recently released its Federation Software-Defined Data Center Solution, a combined software stack that it hopes will serve as a reference architecture for all future software-defined data centers, similar to the way the Java EE reference architecture is a template solution for many Java enterprise applications. The goal of a SDDC is to eliminate large infrastructure boxes and replace them with network services dedicated to and tuned to the needs of individual applications. This will allow applications to be decomposed into compute workloads, transport workloads, and storage workloads - and these various tasks can be executed wherever it makes the most sense. An example of a SDDC-aware application is a Video on Demand application that uses both solid-state drives (SSDs) and hard-disk drives (HDDs) in a complementary fashion - where "hot content" that needs the fastest possible IOPS (streaming new releases or the most popular movies) can rely on performance-optimized SSDs, while "cold content" that needs the largest possible capacity for storing thousands of classic movies can use capacity-optimized HDDs. The SDDC is the first of five solutions that integrate technology from the Federation, with four more expected to be released over the next few months, include Platform-as-a-Service, which combines technology from EMC, VMware and Pivotal; a virtualized data lake featuring Pivotal technology; end-user computing with VMware and EMC technology; and security analytics, which will add RSA security to the virtualized data lake. The new Federation SDDC is designed to be the base for all these future solutions. Does SD(DC) = SD (Hype)? Because the term software-defined data center was coined by VMware, it's not surprising that EMC and its partners are actively promoting the SDDC notion. SDDC is part of the latest IT industry fad to label all kinds of infrastructure "software-defined," as in Software-Defined (X), where "X" can be any number of things, including "Servers" and/or "Storage" (SDS), "Data Protection" (SDP) and "Networking" (SDN). This semantic fad has its critics, too, who are prone to dismiss SDDC as software-defined (hype) when the label is applied to data center architecture since, in their view, only companies with homogenous IT systems already in place, such as Yahoo! and Google, will be able to make the transition to software-defined data centers. The underlying concept of a software-defined data center is one where all IT infrastructure - the network, server and storage – is virtualized and offered as a service. In this scenario, configuration and control is automated and it's possible to provision, control, and manage all SDDC components with the click of a mouse on a single computer screen - the proverbial single pane of glass. This allows applications to be managed by their service-level agreements (SLAs) where things like CPU resources and network bandwidth will be automatically reserved and allocated according to the particulars of the SLA. Although the Software-Defined Data Center is not currently defined by an existing standards body (e.g. IETF, ITU, NIST), the Distributed Management Task Force (DMTF) last year announced an Open Software-Defined Data Center Incubator, which it calls a "forum where the IT community can discuss and develop SDDC definitions, architectures and use cases that will be interoperable via open and standard interfaces." Other vendors besides EMC and VMware are currently working on SDDC development including Cisco, Citrix, Dell, Ericsson, Hewlett-Packard, IBM, Intel, Juniper Networks, Microsoft and others, who are all contributing to the collaborative open source OpenDaylight Project. Additionally, there are a bunch of open-source technologies such as OpenStack, OpenFlow and Open vSwitch that are linked to the software-defined data center concept. 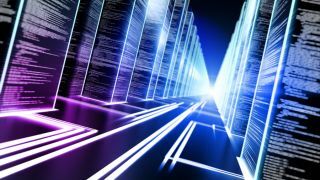 By some estimates, it will take roughly a decade for the software-defined data center to become a reality. Since SDDC standards are still being defined, very few companies will be willing to rip and replace what they have in support of what many see as SDDC vaporware. It's likely, too, that when they get around to it, most companies will try to deploy open, vendor-neutral SDDC solutions that can work in a widely heterogeneous environment of new and legacy applications. The fact that the new Federation SDDC reference architecture includes solution-specific workflows ought to give EMC and its partners first-mover advantage in driving the SDDC standard forward. Interestingly, just as VMware is trying to establish its proprietary vCloud Air hybrid cloud service as a standard, VMware said it's establishing a partnership with Docker, an open source container-based virtualization framework that can be used in-place of a VM hypervisor, which is VMware's cash cow. By incorporating Docker container technology into its product mix, VMware is hedging its bets but also making it more likely that a version of the Federation's SDDC reference architecture will gain significant traction among cloud computing enthusiasts eager to avoid vendor lock-in. At that point, the idea of the software-defined data center may just start living up to its hype as the next big step in the evolution of virtualization and cloud computing.